Jan Here: I saw two stunning new films from Canadian women filmmakers yesterday. The first was Window Horses (The Poetic Persian Epiphany of Rosie Ming) written and directed by Ann Marie Fleming. The second was Nelly written and directed by Anne Émond. Both films are based on real Canadian women, but beyond that bare similarity, they couldn't be more different from one another. And all of these women -- the two real women portrayed on screen and the two women behind the camera (both of whom were also onsite for post-screening Q&A sessions) -- were totally unknown to me before yesterday, but now all four of them have made indelible first impressions. 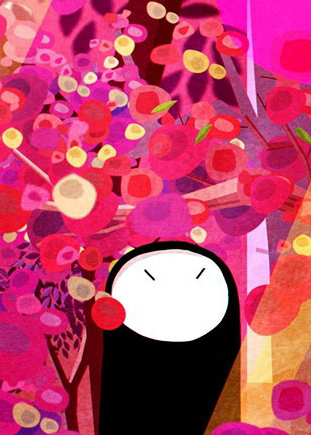 Window Horses (The Poetic Persian Epiphany of Rosie Ming) is about a woman who was born into singular cultural stew. Her mother, though Canadian, was the child of Chinese immigrants. Her father fled from Tehran during the Iran/Iraq War. Although Rosie's parents meet in Europe, the film opens in Vancouver where Rosie (voiced by Sandra Oh) now lives with her elderly grandparents. Is Rosie an orphan? She doesn't know. Rosie was there, in the car, the day her mother was killed in a horrific accident, so no blame can possibly attach to her. But her father had disappeared from her life before the accident, abandoning both her and her mother, so Rosie cannot help blaming him for all the tragedies -- large and small -- that have befallen her since. And then, out of nowhere, comes an invitation to visit Shiraz, and despite her grandmother's reservations, Rosie decides to go. Nelly, on the other hand, is set almost entirely in Montreal where Isabelle Fortier comes of age in physical comfort but emotional turmoil. Isabelle (played as a girl by Milya Corbeil-Gauvreau) takes to the stage early. Coached by a mother who is seen on the sidelines instructing her in the arts of femininity (Isabelle should stay silent and let her body speak for itself), Isabelle grows into a beautiful woman, but overtime, her beauty becomes a crushing weight. Unable to speak as "Isabelle," she recreates herself as "Nelly Arcan" (played as a adult by Mylène Mackay), giving Nelly a voice that becomes a Francophone sensation. Are these award-winning, best-selling books by Nelly Arcan memoirs? Are they semi-autobiographical novels? No one knows for sure, but Nelly surfs huge waves of celebrity and acclaim until she is inevitably pulled under. I am sure I would have had a totally different reaction to this film had I know anything about the real Isabelle Fortier before the lights in the theatre went down. But I went in cold, so what I saw was a heart-rending meditation on beauty. Beautiful women have enormous power as long as they stay beautiful, but the desperation that overwhelms them as that beauty -- and its concomitant power -- begins to wane is intense. This has likely always been the case throughout history, but Nelly's story plays out in an era of "social media" (an expression the meaning of which becomes ever more obscure to me), and listening to women read comments from men rating their attributes online for all to see is particularly painful. The public cost of self-exposure -- especially for women in the limelight -- has likely never been higher. Rose: How did it feel? Rose: No, I mean it. How did it feel having people look at you with such admiration? Looking at yourself in the mirror with such appreciation? How did that feel? 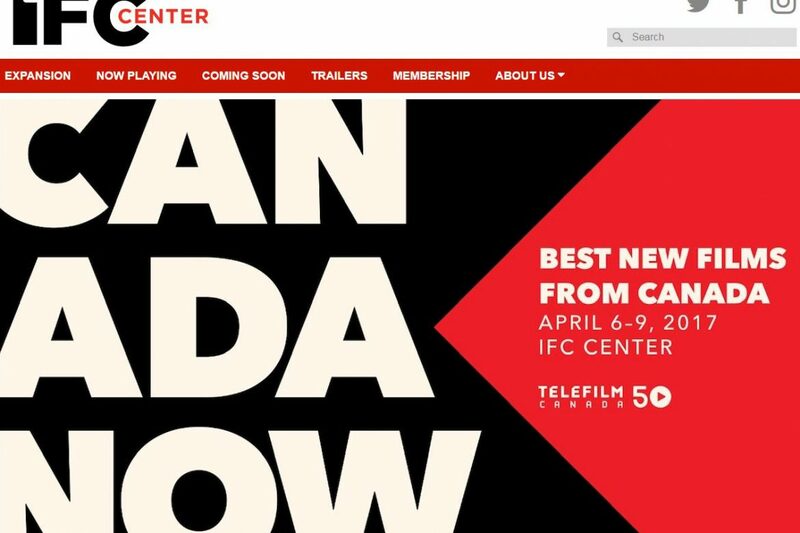 Read more about the "Canada Now" Film Festival on the IFC Center website: "With works from new talents as well as from Canada’s accomplished veteran directors, this series will transport you from the Arctic Circle to western Asia, from downtown Montreal to small town Nova Scotia. And yes, there will be hockey. Get ready to travel across the daring and dramatic contemporary Canadian cinematic landscape. Have a look at what’s now and what’s next in those cinematic lights in the northern North American skies. Presented in collaboration with the Consulate General of Canada in New York." Still photos grabbed from Google.